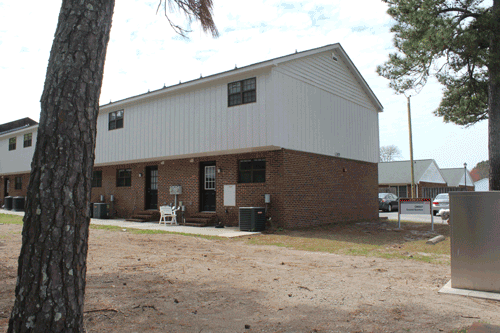 Located ~ 0.5 miles from CMAST in Morehead City, the CMAST Coastal Quarters is a 13-unit, 12,000 ft2 Apartment Complex. There are 9 two bedroom duplex units with the kitchen, washer/dryer, living room, and ½ bath on the first floor, and two bedrooms with attached bathrooms and closet spaces on the second floor. 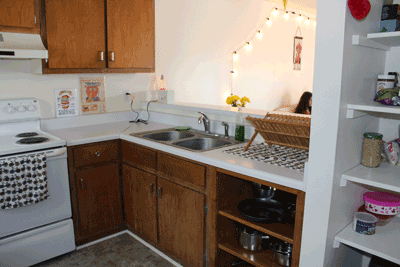 There are two single bedroom units with full kitchens, washer and dryer and 1 ½ baths (unit #’s 12 and 13), and an additional two, 1-bedroom units that can accommodate ADA needs (unit #’s 10 and 11). During 2016 and 2017, the units were renovated by NC State Housing and Facilities to bring them up to state building code, such as adding a fire alarm and sprinkler system linked to monitoring by NC State, as well as updates to the units such as new appliances where necessary. 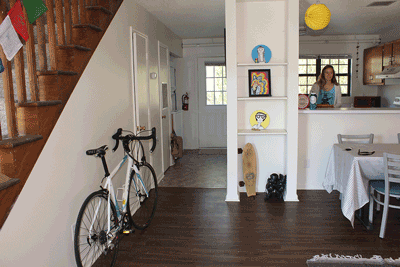 All units have WiFi, and adequate parking is available. 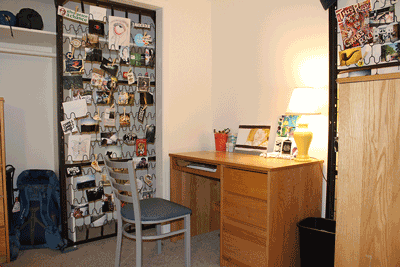 The CMAST Coastal Quarters is managed by NC State University’s Campus Housing program, within the Division of Academic and Student Affairs (https://housing.dasa.ncsu.edu/). The property is managed locally by Chalk & Gibbs Real Estate, with back-up support from CMAST Facilities. Staying less than 5 days, $125/night/apartment (to begin July 1, 2018). All housing requests should be made via this web-link and the corresponding form.